itty bittys® were conceived by Hallmark illustrator Adan Chung as he was doodling during a brainstorm. itty bittys are usually given to children 5 and younger as a gift, often for holidays. While itty bittys are undeniably appealing to kids, adults also love them. Currently 25 percent are purchased for women over 18 years old. Hallmark first introduced itty bittys in 2013. Soon, Adan’s simple-but-fresh portrayal of popular licensed characters inspired an entire collection that continues to grow. Adan has spent most of his nine years at Hallmark bringing plush characters to life. When he’s not figuring out how to give a snowman legs or make a porcupine look huggable, Adan enjoys cooking, playing the guitar and hanging out with other people’s pets. 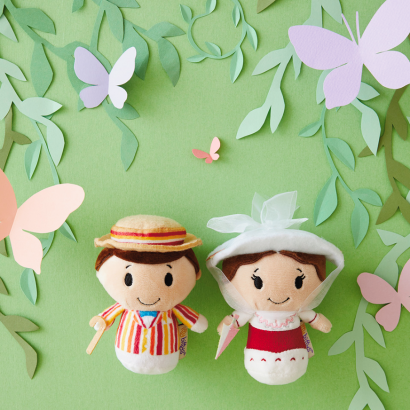 2013: Original 8 itty bittys characters are introduced in Hallmark Gold Crown® stores. 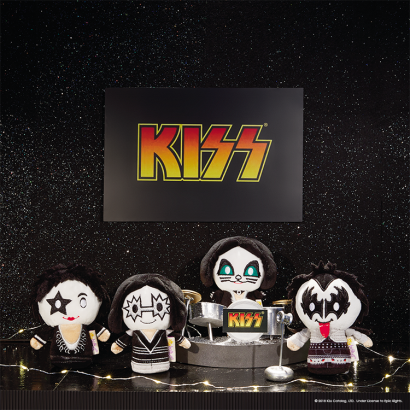 2014: Five themed collections, 12 limited editions and itty bittys accessories are added to the lineup, bringing the total collection to 50 itty bittys. 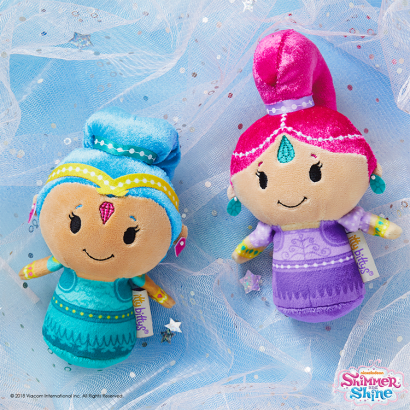 2015: Another 50 new itty bittys join the line, including new seasonal characters, limited editions and fan convention-exclusive itty bittys. A huggable new 10.5 inch version called itty bittys BIGGYS is introduced. 2016: Over 100 new itty bittys arrive including Celebration itty bittys which are great for weddings and birthdays, a Star Trek™ 50th anniversary collectors set, Star Wars™: The Force Awakens™ fan favorite BB8™, a Beauty and the Beast 25th anniversary set, as well as Create Your Own itty bittys that come blank for the fan who wants to add their own creative flair. 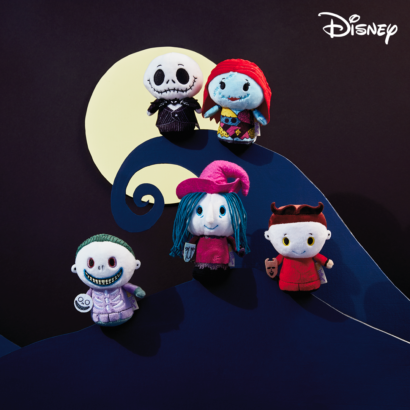 Hallmark itty bittys are tiny (four inches tall) plush collectible characters with big appeal. 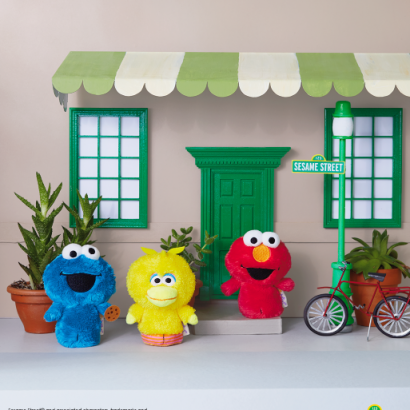 itty bittys provide a convenient, affordable and fun gift that appeals to children, as well as to collectors and fans of the different licensed characters. 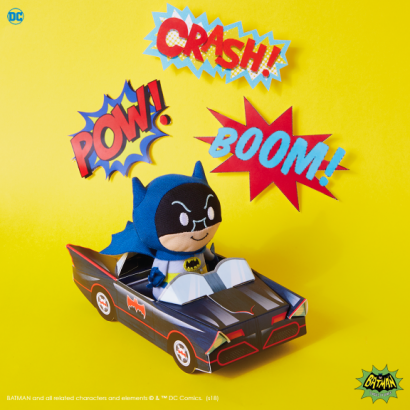 The Hallmark itty bittys collection has grown from eight characters in 2013 to more than 300 popular characters from a variety of licensors and properties ranging from favorite super heroes, to princesses, to characters from popular movies. The Hallmark itty bittys collection continues to grow with new characters and licenses, plus new products, such as itty bittys Clippys which are great for attaching to backpacks, the larger itty bittys BIGGYS which stand 10.5 inches tall and the supersized itty bittys Jumbos. Additional items, like bittys Storybooks of favorite fairy tales that are paired with an itty bitty character, help make collecting even more fun. Available at Hallmark Gold Crown® stores nationwide, online at Hallmark.com and wherever Hallmark products are sold. Use the store locator on Hallmark.com to find the nearest Hallmark retailer.